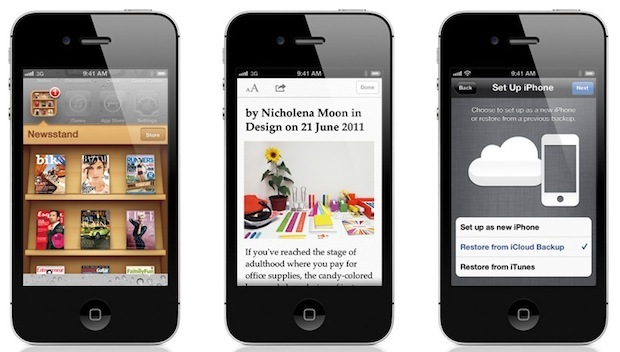 Apple has announced that unlocked iPhone 4S models will be available starting in November, slightly later than the general 4S availability for both the US and other countries. These phones will work on any GSM carrier worldwide, you simply need to pop in a local GSM providers micro-SIM card and follow the onscreen activation instructions. The dependence on SIM cards does mean that the unlocked iPhone 4S will not work on CDMA carriers, however. Unlocked iPhones are ideal for users who travel internationally on a regular basis and need to be able to utilize local carriers, this offers a significantly cheaper option than paying the roaming overage charges through a home carrier like AT&T. Unlocked phones also provide a pre-paid option, allowing you to use GoPhone, T-Mobile, or other pre-paid GSM choices. The downside to an unlocked device is the costs. The price of the iPhone 4S contract-free is quite a bit higher than the subsidized price through a carrier, with the 16GB model starting at $649, the 32GB model costing $749, and the 64GB model coming in at $849. I think it’s interesting that the unlocked 4S costs so much more than the unlocked 4 did, and that the unlocked 4 is the same price as it was originally. More expensive than the iPad 2! Great phone though, I will get one but probably with a contract since I can’t fathom spending $800 out of pocket! The iPhone 4 costed the same price for factory unlocked when it launched… 649 for 16, and 749 for 32. (At least in Canada). Unlocked is the only way to go, so frustrating that they’re sold not unlocked to begin with in USA! The difference is that AU prices include VAT, tariffs, and other taxes and costs associated with selling products in Australia. The US prices do not include taxes because for whatever reason American businesses show the pre-tax price, so in a place like California, the $649 iPhone ends up costing about $715 when you go to buy it. Additionally, the AUD is slightly stronger than the USD at this point, so when you include the currency differences and AUS taxes, it evens out. Just curious, since it will only work with GSM networks, does this mean that the CDMA side of the device is worthless with these unlocked phones? I’m a semi-noob, but it would seem that the phone isn’t truly unlocked unless access to both types of antennas was available (GSM as well as CDMA)–making the phone usable on any carrier, anywhere. Seems crazy that this isn’t a possibility. The phone would truly be worth the price they want if that were the case. It is because for CDMA the phone would have to be flashed to the chosen carrier. Just wanted to confirm the rumors 11/8/2011 I bought white Iphone 4S 16gb in apple store in San Diego (Fashion Valley Mall) and I placed tmobile card inside turn the phone on, connected to “Apple Wireless” and activated the phone, it’s fully unlocked, everything is working on my tmobile, calling, texting, edge. I’ll buy one more later today and will post video on youtube from scratch so no scam, I’ll even cut my card in front of you. I’m so happy about this cause this cat and mouse for last few years, with devteam, geohot and 100s of blogs, nights, weekends…etc.